Need your Swimming Pool Equipment Replaced? Repaired? Is your Swimming Pool Pump, Filter, Bottom Cleaner malfunctioning? 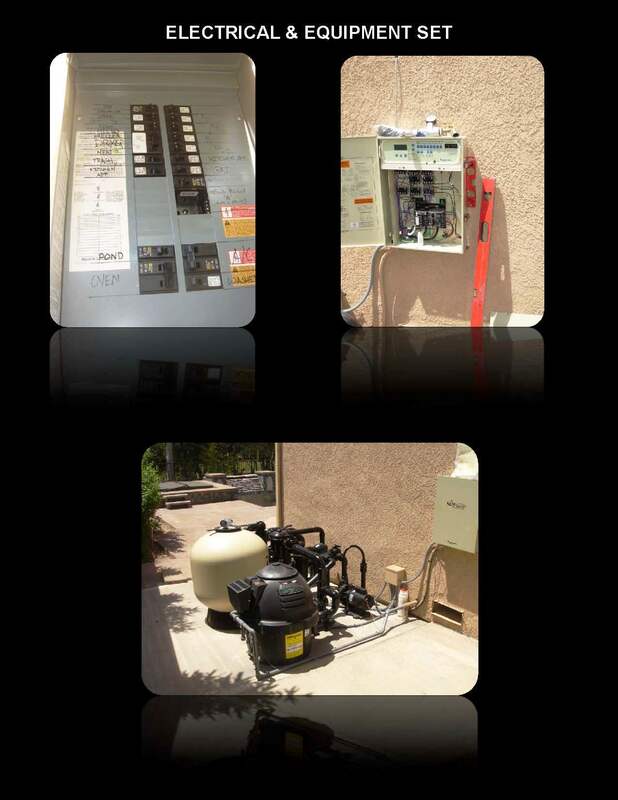 We repair and replace all swimming pool equipment and corresponding attached control panels throughout California. That’s right, any form of equipment,we can repair it. What about Energy Efficient Equipment? If your pump has enjoyed its last day, then by all means, replace it with a pool pump that pays for itself! We can swap out your choice of economical swimming pool equipments with any of the latest and greatest in energy efficient savings. We offer many levels of service when it comes to swimming pool equipment. Here at ePoolscapes.com, we can repair just about anything that goes wrong with your pool and its equipment. Give us a call and let us know what your problem is, whether it is your pump, motor, filter, heater, or your controls. We will repair or replace and/or upgrade it. We also offer plumbing repairs, from a small drip to total replacement. A leaky pipe could be catastrophic to the filtration of your pool water. Even if you are worried about your plaster or tile, we can take care of it. You name it, we FIX IT! I would like to bring this guarantee to your area: If I visit your home and find that I cannot save you money on an alternative to your current equipment set, its free. That’s right, I will not bill you a dime for the service inspection, because I am that confident that people have too many energy inefficient equipment sets. We guarantee that our prices are the lowest in your area; in fact, we will meet or beat any competitor. However, the reason you choose us is that there are no mistakes. Our licenses, certifications and most importantly, our experience is what makes your pool the beneficiary of offering the best brands for the best prices. No garbage generic items that burn out, rather high quality manufacturers with “Bumper to Bumper” warranties. We perform pool cleaning services in the following cities, and more throughout your area.